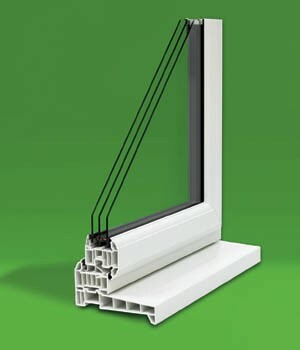 With energy bills higher than they have ever been before, triple glazing has never been so popular. Colder countries such as Scandinavia have been using triple glazing for many years, keeping them warm and protected from the harsh elements. Windows generally really can make a difference to the look and feel of your home, but if you can improve on its energy rating too then that's an added bonus. Built from three panels of glass with double cavities that reflect radiated heat back into your home, triple glazing greatly helps to lower the cost of your fuel bills, therefore having a positive impact for you and on the environment. Other benefits include added security and noise reduction. Triple glazed windows are available in a wide variety of colours, styles and wood-grain effects to complement your home and add to its value. For more information on window installations and our window services please contact us.